Jim Carrey is a Canadian-American actor, comedian, and screenwriter. He’s known for his incredible work in the comedy category of the film industry. Carrey brought a fresh style to film comedy, which gained him millions of followers throughout his career. 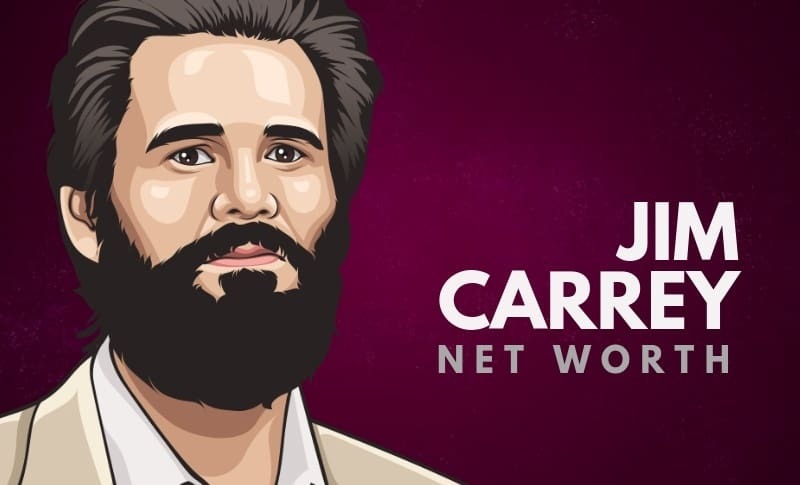 As of 2019, Jim Carrey’s net worth is estimated to be $150 million, putting him on the list of the richest comedians in the world. Jim Carrey was born on the 17th January, 1962, in Newmarket, Ontario, in Canada. Carrey has three older siblings, and his family was raised in a Catholic household. Even from the mere age of just 10 years old, Jim had already found a love for being an impressionist. He wrote a letter to the Carol Burnett Show explaining his talent for impressions, and asked to be considered for an appearance on the show. The family lived in Ontario for eight years, and Carrey attended Aldershot High School as a teenager. 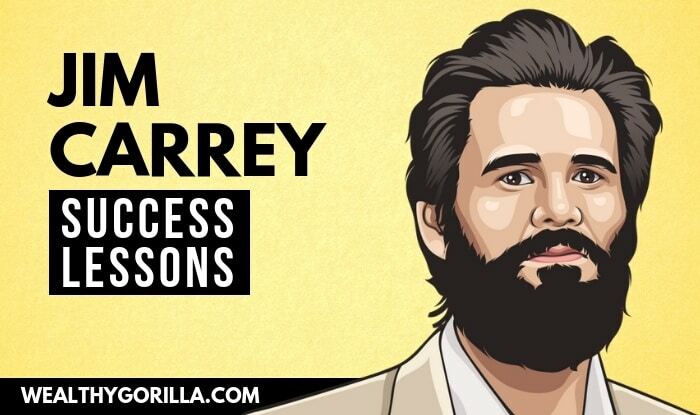 When Carrey first set out to become an entertainer, he struggled. His father drove him to various comedy clubs in Toronto, where his act failed to impress, and the chances of success looked dim. However, after gaining the experience, and working on his act, he returned to the stage, and received many positive reviews. To the point at which he started getting paid gigs. Jim Carrey has always been a big believer of visualisation. So much so, that before he reached fame in the film industry, he wrote a cheque to himself for $10 million dollars. He placed the cheque in his wallet, and kept it there as a reminder and motivator that one day he’d be worth that much. In 1994, Carrey cracked his way into the film industry, and began starring in films such as Ace Ventura, The Mask and Dumb & Dumber. Jim Carrey and his unusual, yet brilliant acting style was a success. 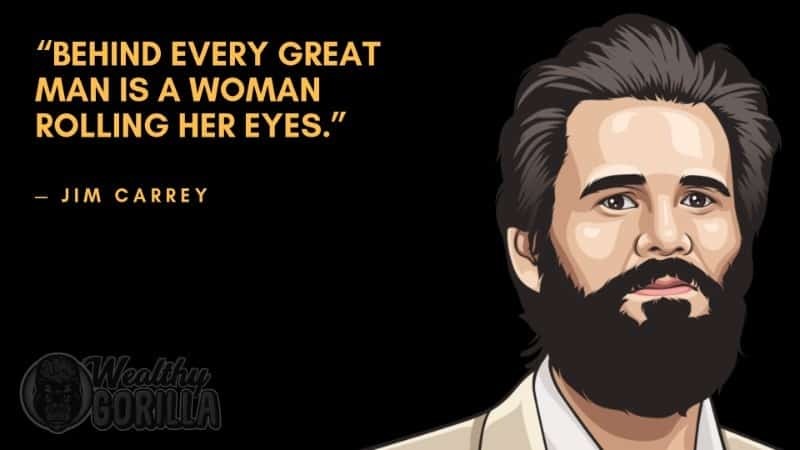 In the early 2000’s, we saw Carrey star in Bruce Almighty, Eternal Sunshine of the Spotless Mind, Me, Myself & Irene, and more. 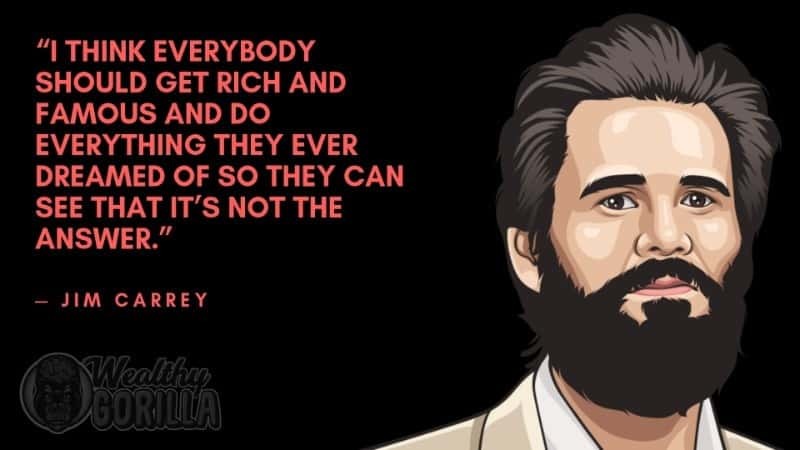 As of 2019, Jim Carrey’s net worth is estimated to be $150 million, making him one of the richest actors/comedians in the world. 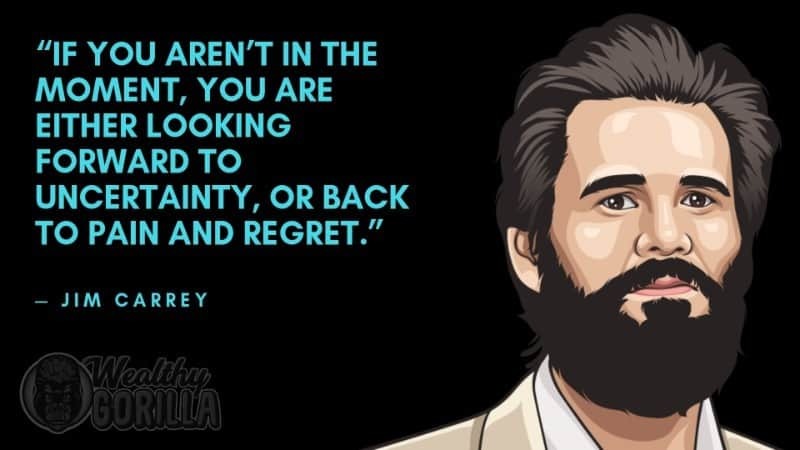 View our larger collection of the best Jim Carrey quotes! You read the quote above where Carrey mentioned sipping his cup of coffee and looking at out at his garden in the morning, right? From this, we learn to constantly express gratitude for the small things in life, and appreciate what we have. Carrey wrote a cheque for $10 million to himself, and kept it in his wallet. This, for him, was a constant reminder that he believes he’ll achieve this income in the future. Well… it worked, didn’t it? 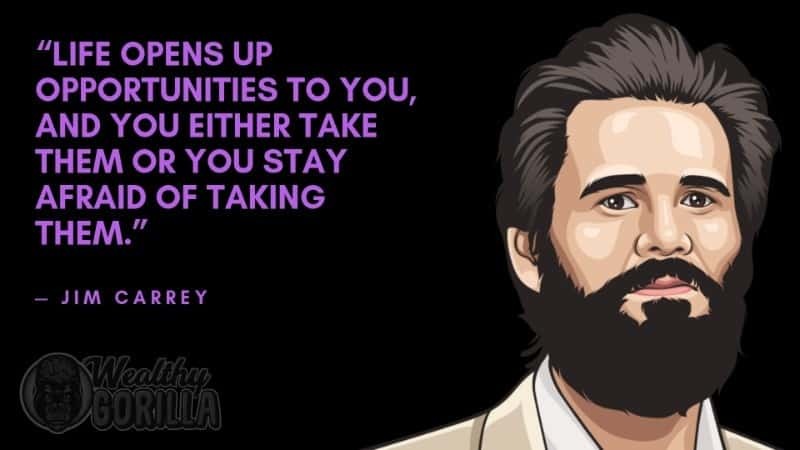 Carrey has remained incredibly humble despite his success, and often says how much he wishes to take care of the people around him. Being humble is something that a lot of characters lose after achieving fame. 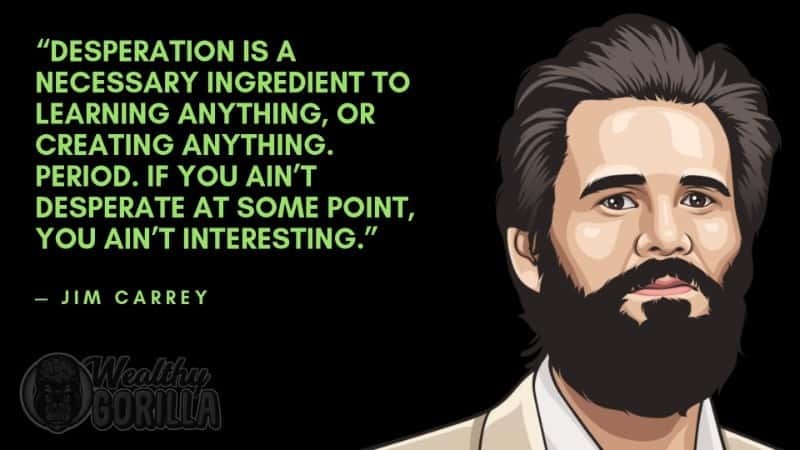 Jim Carrey is one of the most unique and successful comedians/actors of all time. Whether you love him or hate him, you have to admire his success. As of 2019, Jim Carrey’s net worth is $150 million. What do you think about Jim Carrey’s net worth? Leave a comment below.